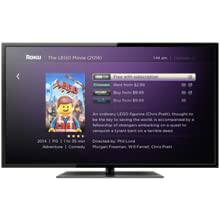 Roku 2 delivers fast performance and stunning high definition video at a tremendous value. Enjoy more than 2,000 streaming channels offering access to 250,000+ movies and TV episodes, plus, music, sports, and more*. Search the widest selection of channels and get automatic updates on new movies. 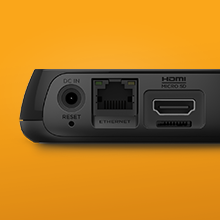 Enjoy up to 1080P stunning HD video* as well as Ethernet, USB, and microSD card ports. *Some channels require payment. Channel availability can change and varies by country. Availability of 1080p HD video limited by channel provider and speed of broadband connection. You choose from the biggest selection of streaming channels, you can even follow movies coming soon. 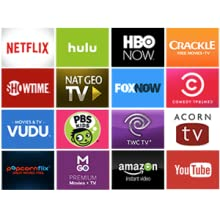 There are hundreds of free channels, easy ways to buy or watch films from top providers, and no additional charges to watch streaming services like Netflix or Hulu Plus if you already subscribe. And if you have cable, Roku players bring new ways to watch based on your cable subscription. 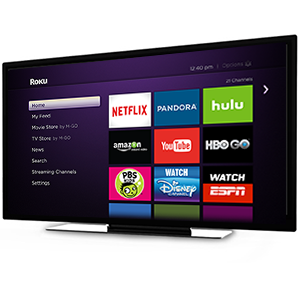 With our most powerful processor, the Roku 2 makes streaming look easy. Features Ethernet, USB connection for personal media and microSD card slot to expand internal storage. 2,500+ channels. Over 300,000 movies and TV episodes. 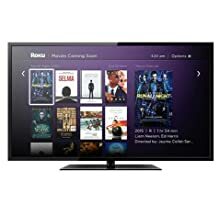 Search across top channels by title, actor, or director using remote, voice, or the Roku mobile app. We make it easy to see what’s on, where you can watch it, where it’s free for you, or if there are purchase or rental options. 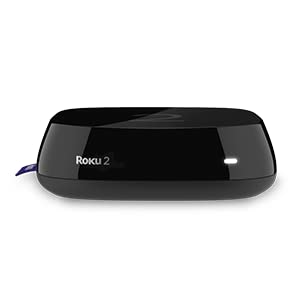 Roku 2 features Ethernet, a USB connection for personal media and a microSD card slot to expand internal storage.